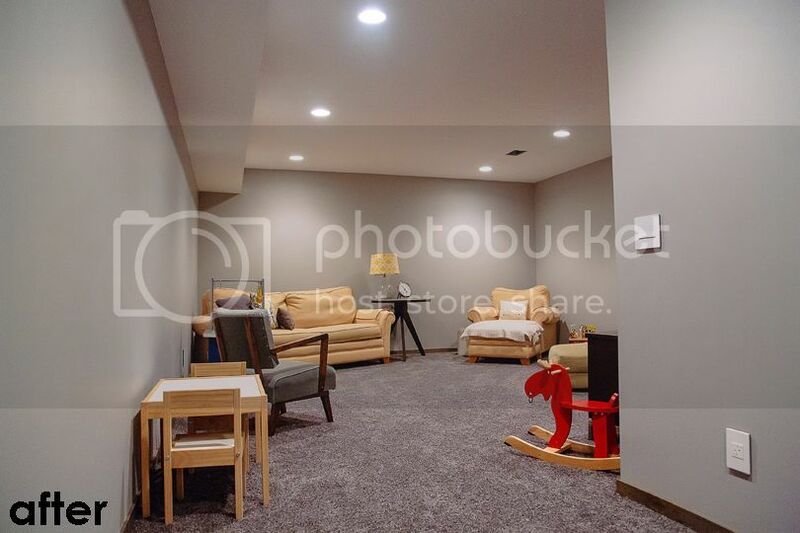 A basement family room is something we always had in mind. At our former house, we would have loved the extra space for kid toys and a second television. At this house, it worked out because none of the plumbing was in the ceiling in this portion (great planning on someones part!) and the ceilings were actually quite high! 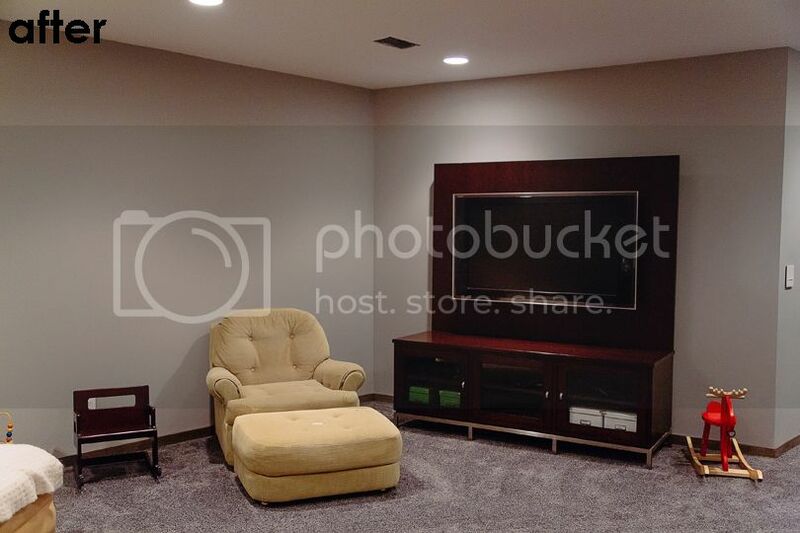 Welcome to the basement family room... 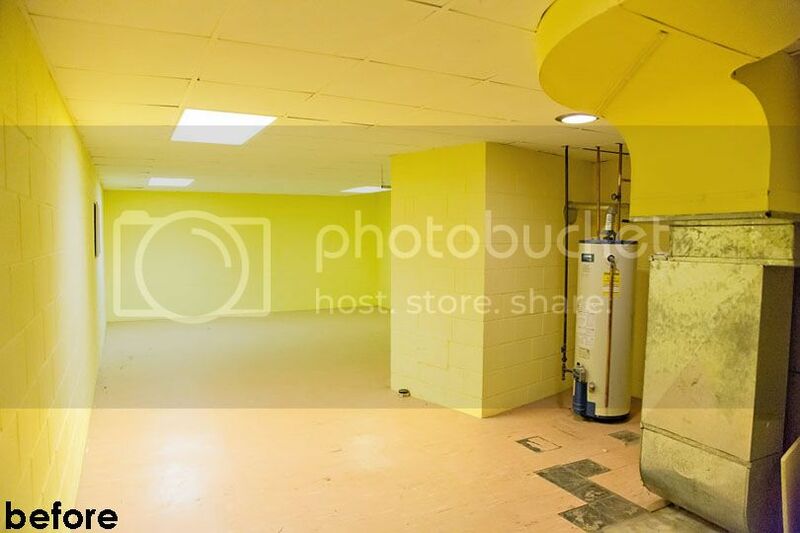 When we bought the house, walls and a door led to the basement. 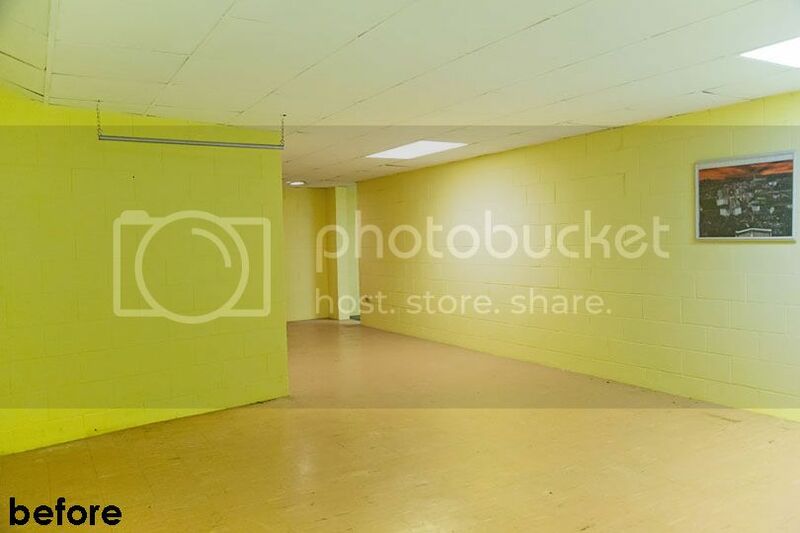 It seemed a bit too "dungeon-y" for us, and while we were taking down drywall, we decided to open the stairs up, add a railing around the opening, and invite people to the basement. I LOVE how this part turned out - it makes the main level feel MUCH more open and flow better into the basement. While we haven't hung out a ton down here yet (Eames still prefers to be in the same room as me - hopefully he enjoys playing down here solo soon! ), I did watch the first movie down here last week. The mechanicals - water heater & furnace - stayed right where they were, and we had our builder frame out a little room around them, complete with a door. After drywall was hung, we had everything painted a very neutral gray (Benjamin Moore's, Ozark Shadows), and trim was put up and stained too. We went with simple recessed can lighting down here, and while there is not one single window, it's quite bright with all the lighting. All of the furniture was from our former living room, so we didn't spend a dime on decorating yet. I'd like to eventually get some family photos on the walls, but the walls are quite huge, so I have to think more about placement before I get too ahead of myself. Another view looking from the room into the hallway, back to the stairs. 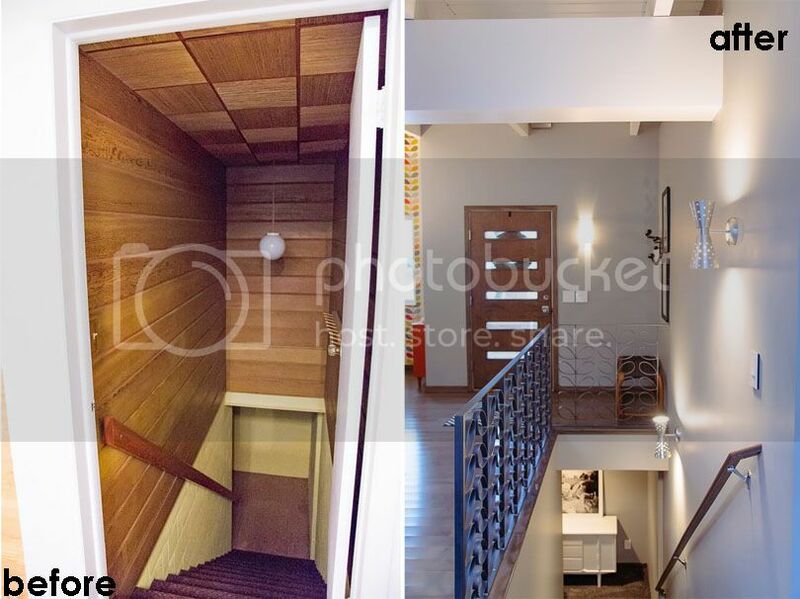 The little doorway on the right goes into the storage area of the basement, and to the left goes back up the stairs.